Locate 2018 Halloween haunted houses in Maryland at the Funtober directory of haunted attractions. We have the most complete list of dates, locations, and ticket prices at haunted houses, haunted trails, haunted corn mazes, scream parks and more. See our new updated TOP 100 HAUNTED HOUSES FOR HALLOWEEN 2018 . Also check out our list of the Top 100 Haunted Houses 2017 in America. Is your favorite haunted attraction on the top 10 and top 100 state list? These 100 are the “most liked” Facebook listings Actually ghosts are not the issue but zombies, vampires, insane clowns, creatures and monsters will make for more than a little terrifying night. We have separate attraction links and listings for haunted houses USA, haunted corn mazes, haunted trails, haunted zombie paintball, haunted forests, haunted hayrides, and ghost tours. Another year for this great hayride starts on October 5th. Bedlam in the Boro gives a full entertainment experience with food, games, live entertainment and two haunted attractions. The Old Fashioned Haunted Hayride is 3 miles long as the Grim Reaper is on the prowl. The House of Horror is a 3200 square foot house of bone chilling terror. The haunt has operated for over 20 years. The doors to Bedlam are open from 7:00 pm until 10:30 pm. The dates are every Friday and Saturday nights in October. Tickets options available at $16-14. Discount coupons are available online. They also feature a non scary hayride for $8 called the Bedlam Bypass. Back again for 2018 in Baltimore. Bennett’s Curse is know as the “House of the Vampire”. This might be “the” haunted house attraction to see in Maryland. There are three attractions named Inferno 3D , Sanction of Insanity, and Midieval Underworld. Also see Legends of Halloween. These are brand new and must see attractions at their new location. Doors open at 7 pm. The theme is about what lies beneath in the underworld or hell. Lots of torture, dungeon cells, and diabolical instruments in rooms with incredible monsters. The attractions play well with this theme. Tickets are individual and combo priced for entry into all 4 attractions. Doors close at 11 pm on Friday and Saturday or 10 pm on other nights. Haunted attraction is open every Friday and Saturday starting October 5th. Doors open at 7 pm. They feature over an hour of terror for around a $10 ticket. Opening night is September 28th. Creekside Manor is open every Friday and Saturday nights through Halloween. There are 16 rooms of terror. Come see what Mabel has in store for you. The zombies are the security to keep the wolves at bay. A most unusual place indeed. Doors open at 7:30 pm. Field of Screams has four individually priced haunt attractions. Open every Friday and Saturday nights starting September 28th and most Sunday and Thursday nights. The Trail of Terror is 35 minutes roaming the haunted forest where the farmer was once skinned alive by a werewolf. Lusion Manor is the haunted house. Hades Hayride goes through the evil grounds claimed by the underworld. Field of Screams doors open at 6:30 pm. Tickets range from $15 to $20 per attraction. There is a combo package available at discounted prices. Opening night is September 22nd. Open every Saturday and Sunday plus some other dates in October. Fright Fest is the weekend Halloween event at Six Flags America. Ticket prices vary but generally are around $42 – 55 for admission. As you might expect in a park this size there are multiple entertainment options. Entertainment includes Blood Moon stunt terror, theater or Magic, and Dead Man’s Party. 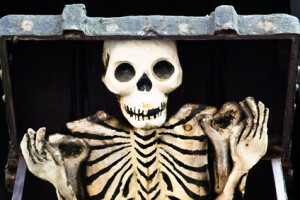 There are many haunt attractions such as Voodoo Curse, Necroville, Spider Outbreak, Haunting of Hall Manor, Twisted Fair Tales, and many more. Most of the fantastic rides have been re-themed for this event. Open weekends beginning September 21st. Kim’s has been operating for over 20 years. Now at their Spring Grove location in PA. Yes there really is a Kim. There are six scary attraction individually prices. Buy and individual ticket for around $14 or save on a combo ticket package for $40 and up. VIP options also available. Opening night has a big party. Attraction is open from 7 pm until 10:30 pm. Lots of history, great scares, guest celebrities and also hearse rides are available. Kim’s Krypt Haunted Mill is home to six terrifying and unique action packed attractions. The HAUNTED MILL, KIM’S KRAZY MAZE, HORROR OF MENGES MILL, TERROR TRAIL, HOUSE OF EYES and DARK DESPAIR. Each year Kim and her team focus on bringing new ideas and scares to keep you wanting more! Opening Night is Friday, September 21, 2018 for 7 weekends through Sunday, November 4th. Including Halloween night and Thursday, November 1st – “Anything Goes” night! Markoff’s Biohazard opens October 5th. It runs Friday and Saturday nights plus some Sunday and Thursday nights near Halloween. Advance tickets are around $25-30 online. Doors open at 7 pm. They also have a zip line and carnival rides available. They feature two trails of terror through their woods plus a number of games, concessions, and rides. Sorry folks but this attraction will not be open in 2018. Nightmares from Elmridge has operated for 17 years. Yes OC Screams is now open. Every year evil washes up on the shores of Ocean City. Attraction is open most everyday during the summer and fall. Open Saturdays in September and October. Check website or Facebook for schedule. Tickets are generally $16. Check their web page for special October events and prices. Opening night October 12th. Cox’s Point has a long history in the Maryland area. It has been running since 1968. They advertise as the oldest non-profit haunted attraction in the country. Tickets are $10. In 2018 it will operate from 7 pm until 11 pm. They are open Friday and Saturday nights. Season begins on October 5th. Doors are open from 6 pm until 11 pm every Friday and Saturday in October. This has been a local haunt for over 30 years that just keeps getting better and more scary. It takes well over one hour to tour the haunt that includes a walk through a terrifying woods, a step into the world of dungeons, and across a historical battlefield that dates back to 1812. Expect to meet the likes of Michael Myers, Freddy Krueger, and Hannibal Lector. Maybe even a clown or possessed doll awaits you. Definitely a fun adult experience. They also have food, drinks, hot chocolate, and kids things to do including trick or treat and not so scary fun times for kids on certain nights. Tickets only $17. New for 2018 is a haunted hayride. Open now and all year [maybe]. The last remaining Bill Tracy attraction left in the world. Built in 1964 it continues to scare thousands of visitors each fall. Now celebrating over 50 years it is only open weekends in the fall. Check their website and call to confirm they are open the day (not night) you want to go. The attraction has some hours available all year. Interesting business model. They seem to open when they want with no advance notice. Best to call or if visiting the boardwalk then check their door. There’s great haunted attractions all around Maryland. So if you live near the border of another state, consider also searching through these states for more haunted houses. Haunted Houses in Washington, D.C.
Have you been to one of these haunted houses? Future readers would be interested in hearing what you thought. Did you have fun? Was it worth the money? Would you suggest it to others? Any tips to maximize your experience? I’ll gladly publish what you send me and give you a super dooper hug. Thanks Holly. I added the listing with some basic information and a link to your site. Hope you have a wonderful haunt season this year.